OPERATION HOT MEAL!! 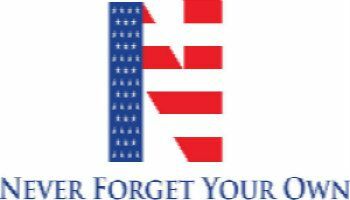 - Never Forget Your Own Inc. 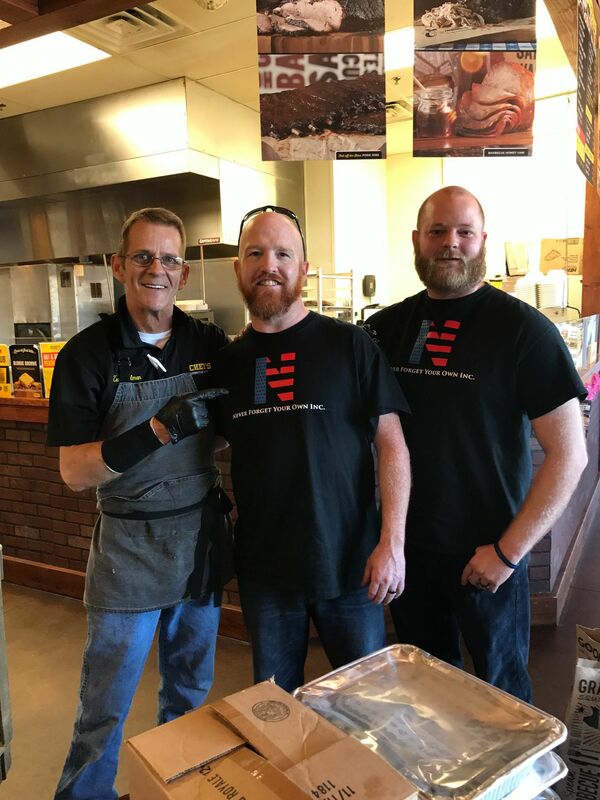 Thank you, Dickey's BBQ, Ken Dillman and his wonderful staff for supporting Operation Hot Meal. 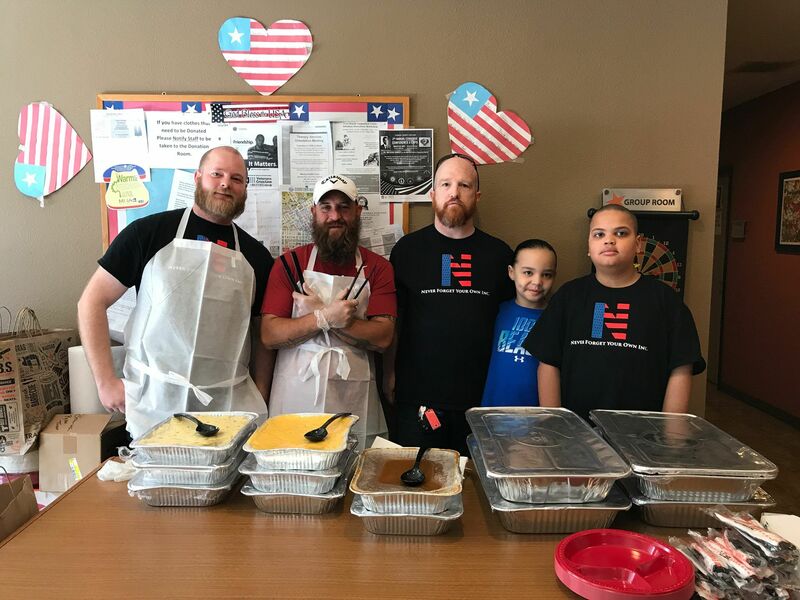 Thank you, Chick-Fil-A of Mansfield Texas for supporting Operation Hot Meal. 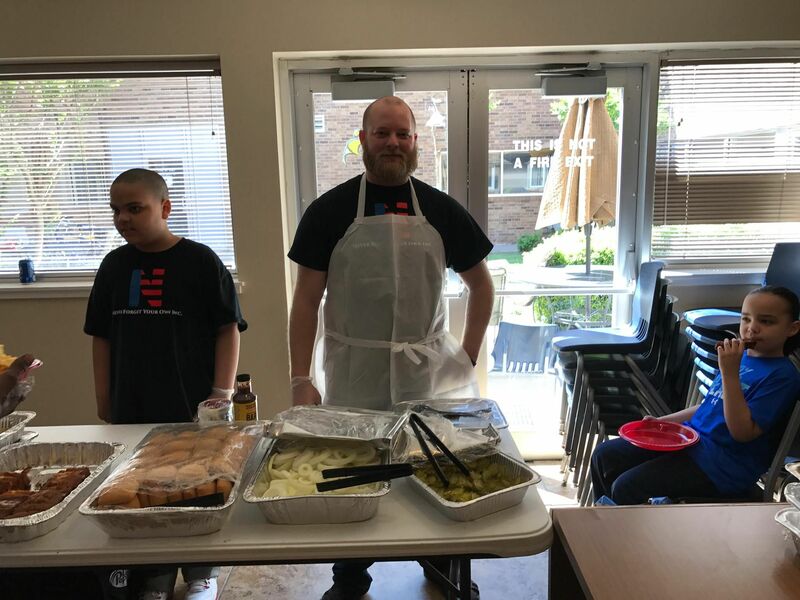 Ryan Turner and his boys during Operation Hot Meal. 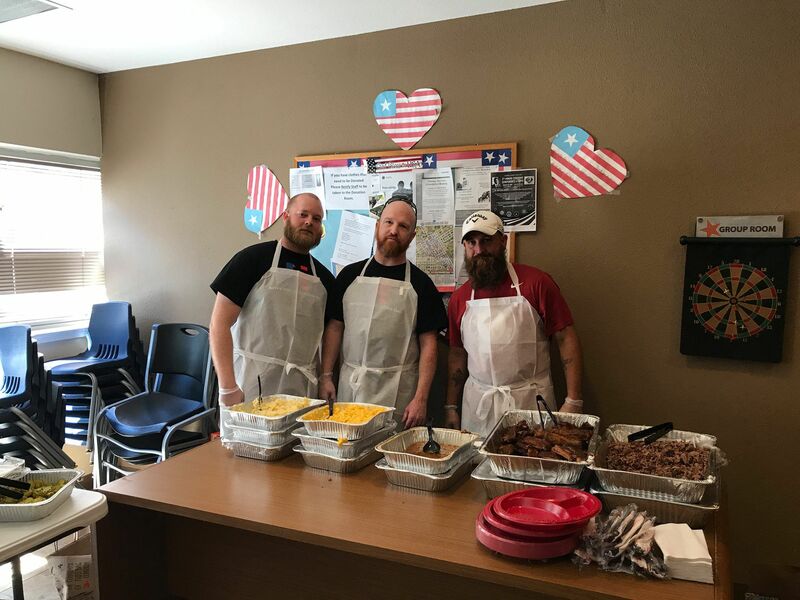 Joseph Nickoles, Ryan Turner, and Dustin Hoyle getting ready to serve the veterans of the Liberty House in Fort Worth Texas. 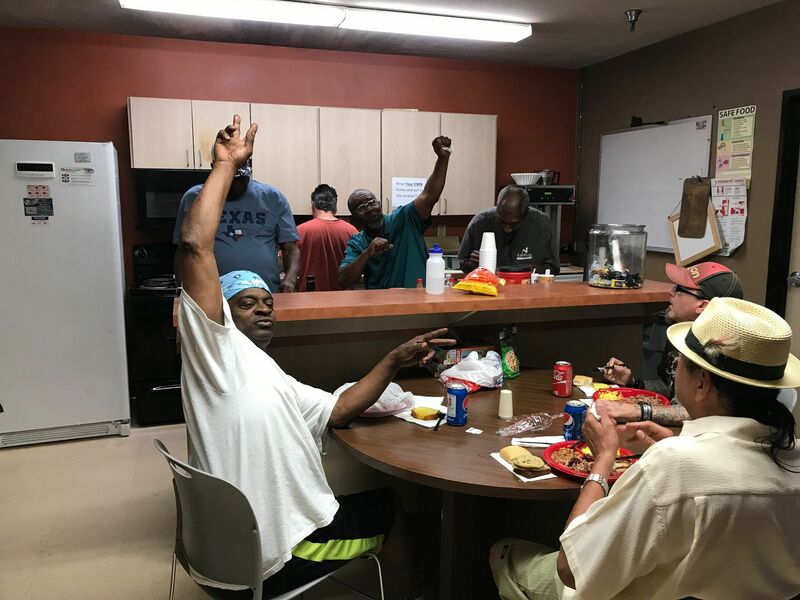 The Liberty House veterans having a great time with N.F.Y.O. Inc., during Operation Hot Meal. 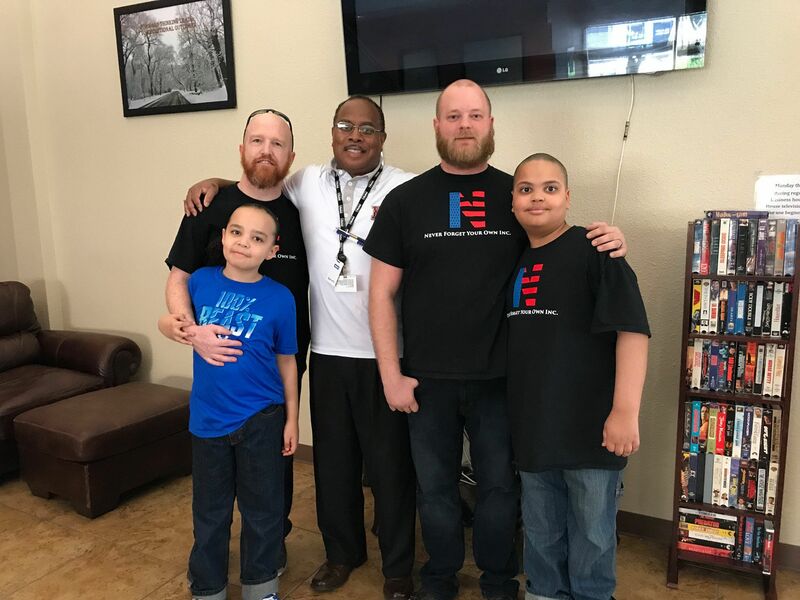 Mr. Vernon Lewis Program Director of the Liberty House in Fort Worth Texas, Ryan Turner, Joseph Nickoles gather for a group photo. 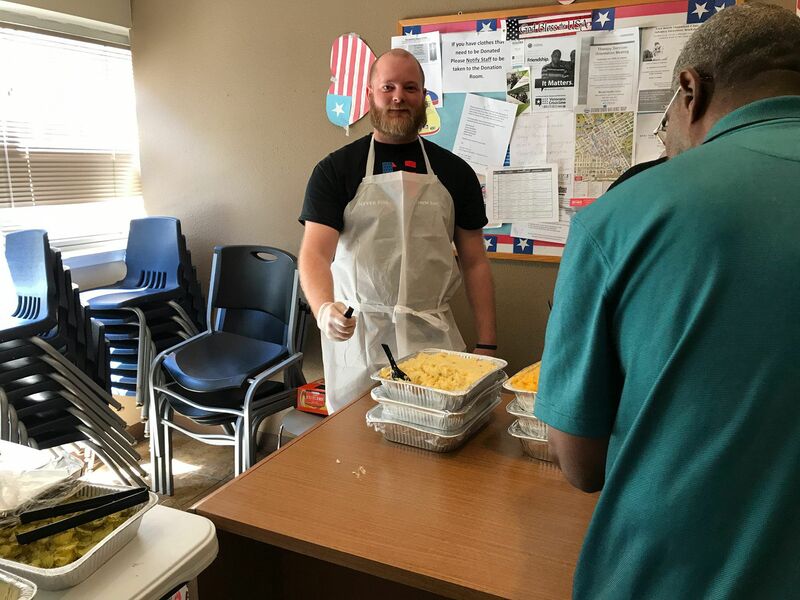 Joseph Nickoles serving and breaking spoons during Operation Hot Meal. 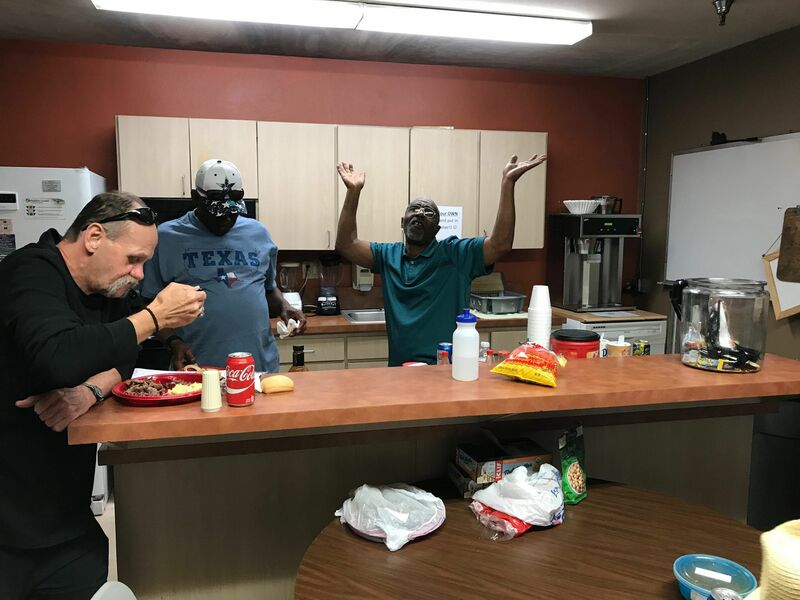 The veterans at the Liberty House in Fort Worth Texas enjoying their BBQ Meal provided by N.F.Y.O. Incorporated. 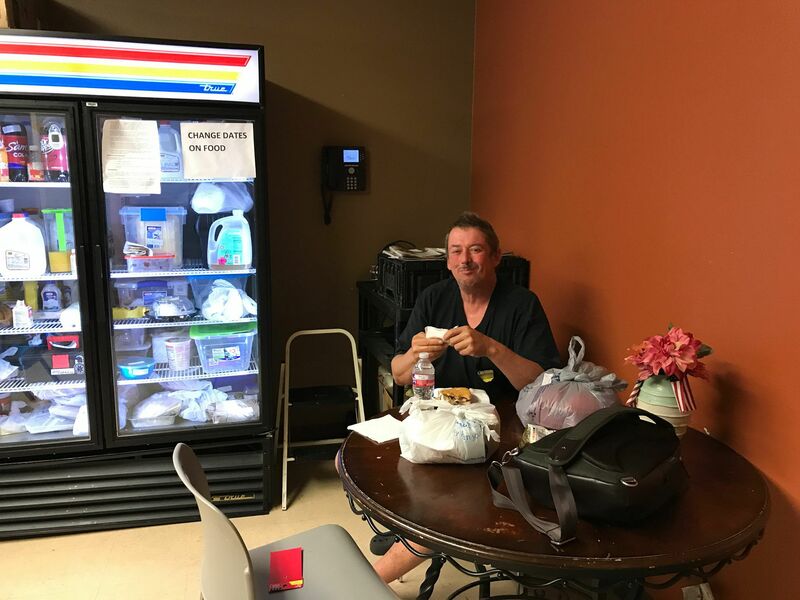 One of the happy veterans from Liberty House enjoying the meal provided by Operation Hot Meal. "Mr. Photogenic" of the Liberty House having a great time with N.F.Y.O. Inc., during Operation Hot Meal. 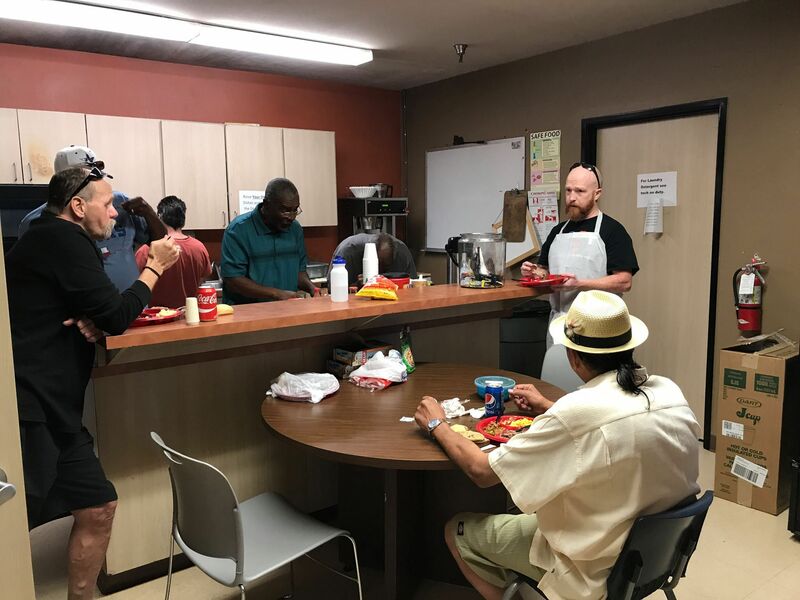 One of the veterans at the Liberty House in Fort Worth Texas. 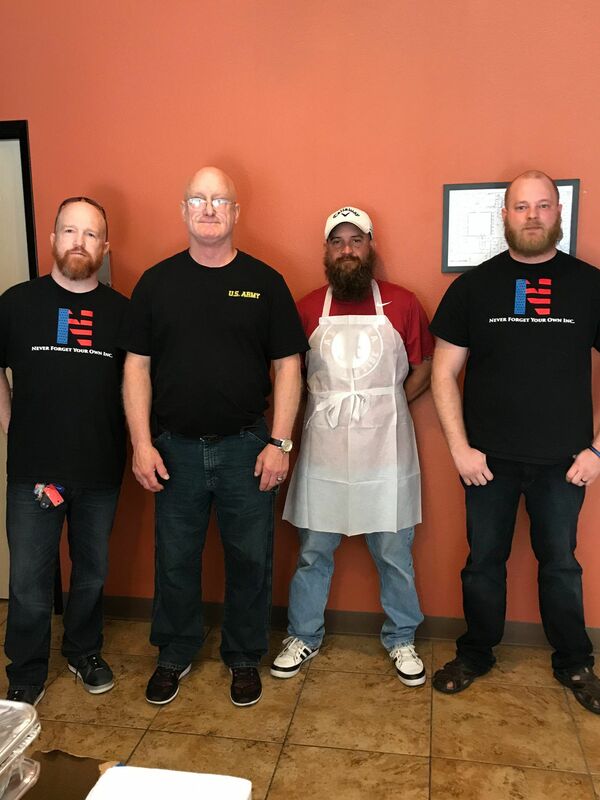 Ryan Turner, Stephen Carter, Dustin Hoyle and Joseph Nickoles stand for Operation Hot Meal. 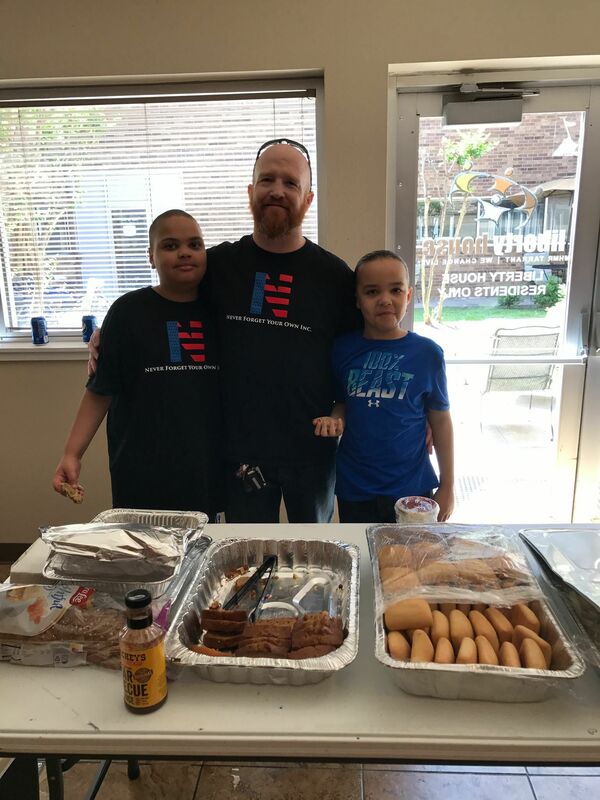 Joseph Nickoles serving veterans during Operation Hot Meal. It's feeding time! Operation Hot Meal in full swing! 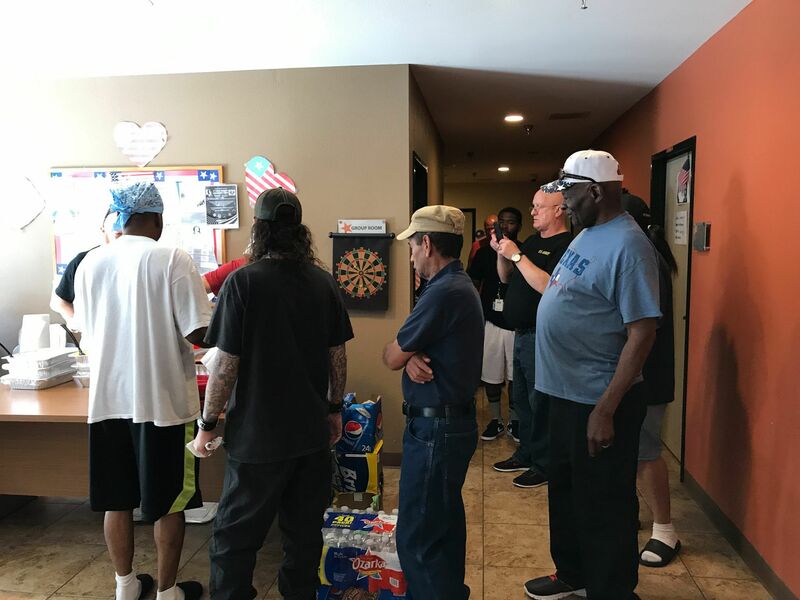 Stephen Carter and some of the veterans at the Liberty House in Fort Worth Texas. N.F.Y.O. 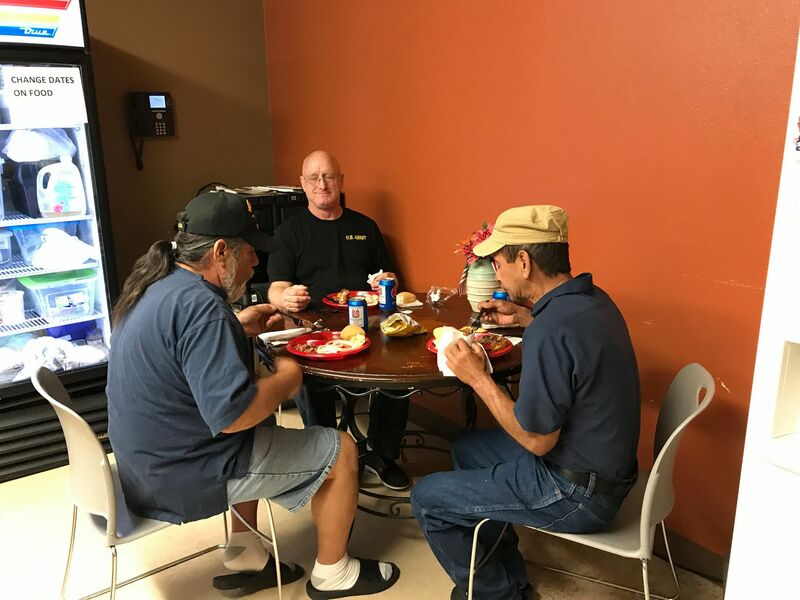 Incorporated's Founder, Ryan Turner having lunch with the homeless veterans from the Liberty House in Fort Worth Texas. 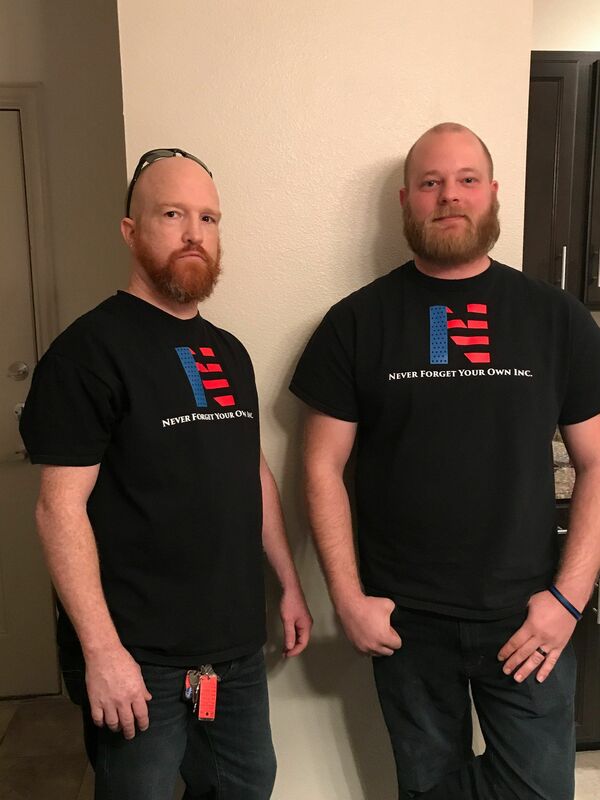 Founder Ryan Turner (left) and Joseph Nickoles. 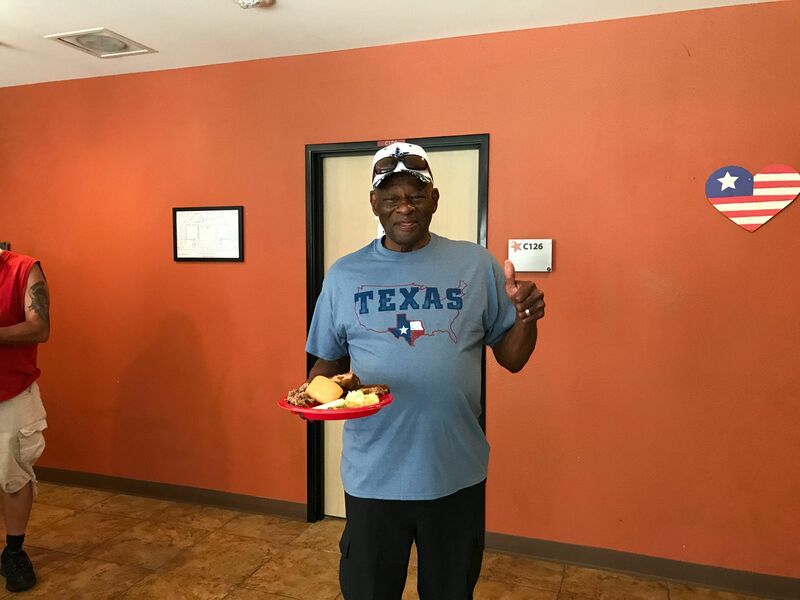 One of the happy Veterans enjoying Operation Hot Meal at Liberty House in Fort Worth Texas. 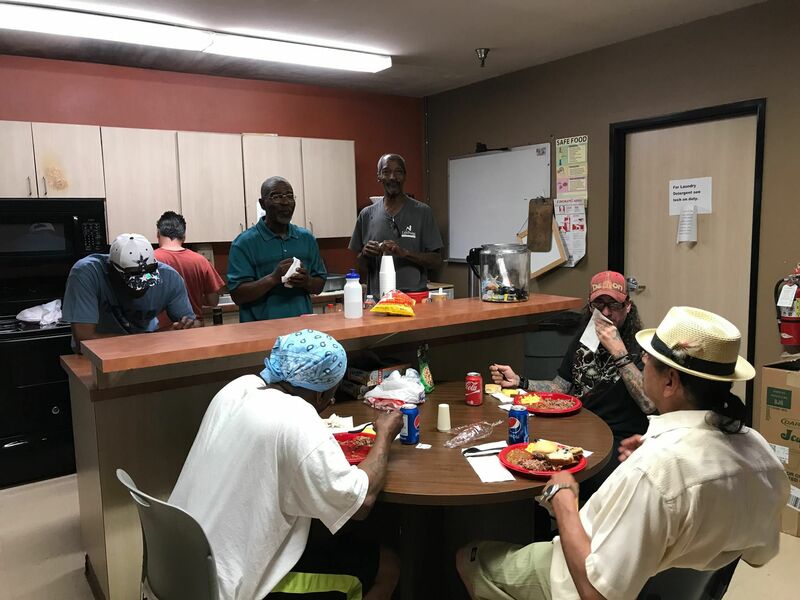 Standing for a group photo before Operation Hot Meal at the Liberty House in Fort Worth Texas. Thank you guys so much for supporting Operation Hot Meal! 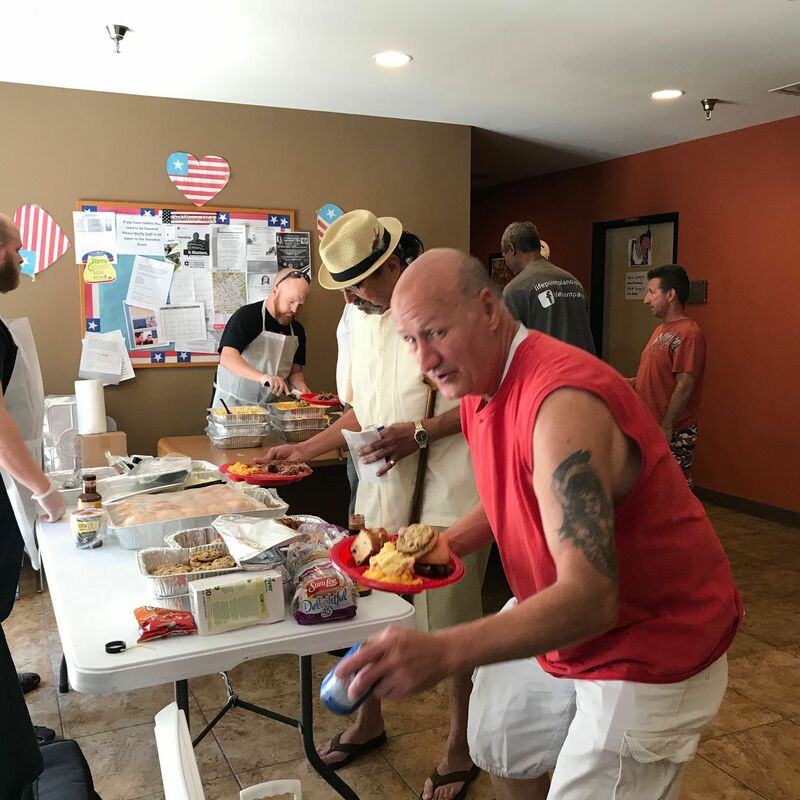 Because of your donations and support we were able to feed our homeless heroes and bring a much-needed smile to their faces! 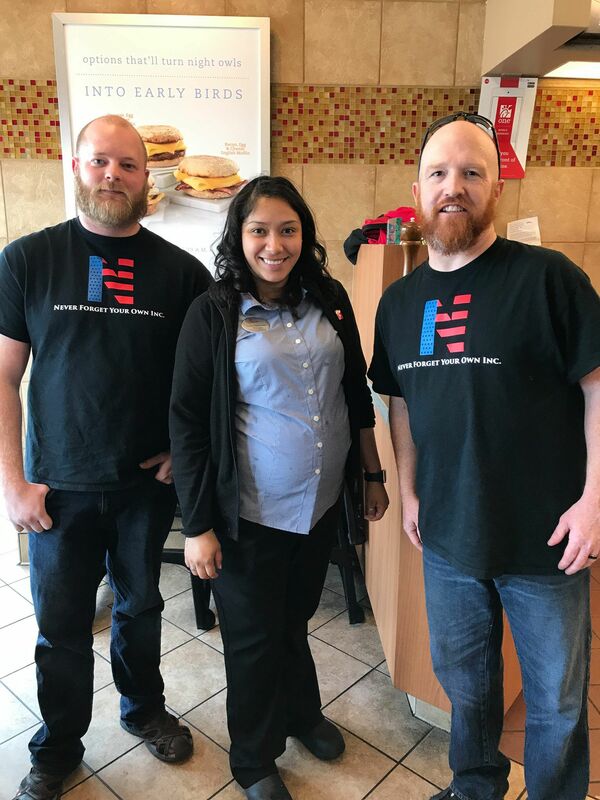 Thanks again and we look forward to many more opportunities to serve our veterans.